Grab buckets are designed as per, volume of material to be lifted and its cycle time of delivering the raw material to other line. Grab buckets are required in the cement, sugar industry and various other industries for the applications and handling of bulk raw material to feed the supplies. 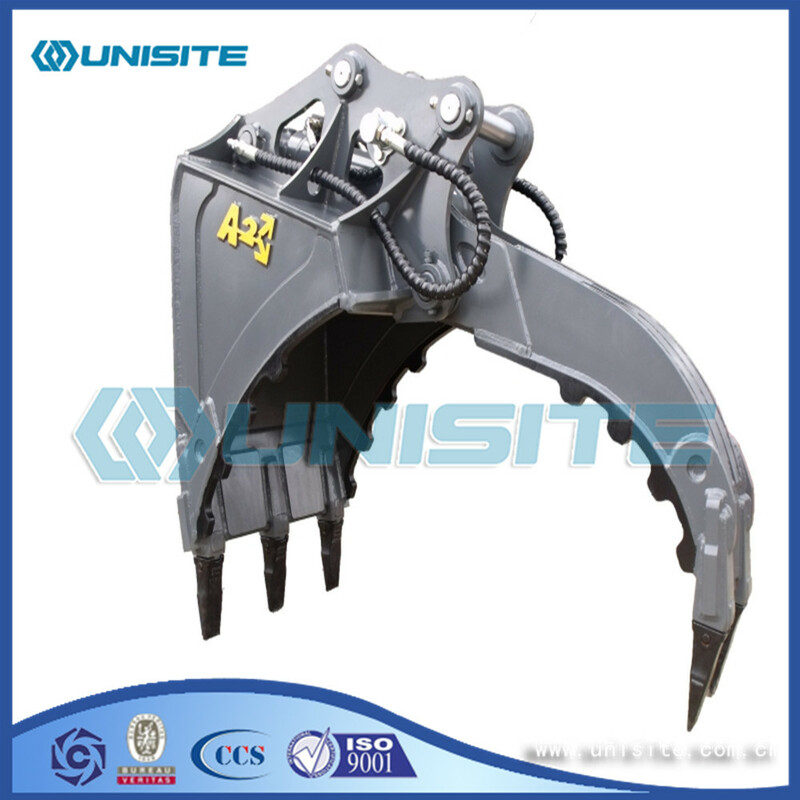 The grab buckets are offered with eot cranes as well for various industrial applications. Mechanical movable frame grab itself has no configuration, usually driven by an external force cord or connecting rod, according to the operating characteristics can be divided into double rope grab and single rope grab, the most commonly used is double rope grab. Double rope grab, a support rope and open closed rope, respectively around the support of various institutions both open and close and drum. Single rope grab, support rope and open closed rope with the same cable.Through the special lock device makes wire rope take turns to play the role of support and open and close.Single rope grab the winding mechanism is relatively simple, but the productivity is low, a large number of rarely used when handling operation. Grab according to the packing density of the grab materials.it is divided into light (such as grasping grain), medium (such as fetching gravel) and heavy (such as grasping iron ore) 3 classes;Divided into double jaw grab and by number of jaw jaw grab, grab the most commonly used is double jaw.For large ore, scrap iron and scrap steel and other appropriate USES jaw grab more, because it has the characteristics of cactus, notch tip, easy to insert the windrow, good scraping effect can be obtained.There is a copy of scissors structure theory of shear type grab, it can take on grasping force is gradually increasing with the closing of the jaw plate, reached the maximum at the end of the closing;The bucket mouth opening and the area of the cover material is better than general grab for the big, to improve the ability to capture, is good for cleaning the yard and the cabin, but for the big materials because of its initial grasping force is small, the effect is poorer. First to choose according to crane grab dynamic form. According to the definition of the grab bucket: grab is fetch device under the crane, so even the most advanced grab, also cannot leave a crane and work independently. 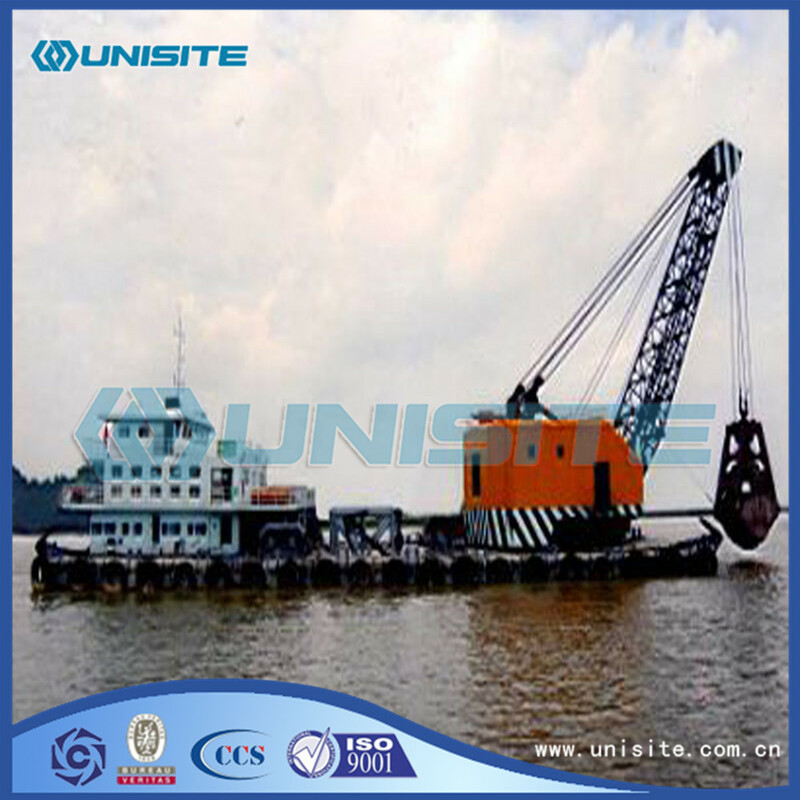 Whereas advanced and large tonnage of the ship unloader is inseparable from the grab and production efficiency. So what kind of what kind grab crane should match, can't be used with wrong, with big overload also can't use. 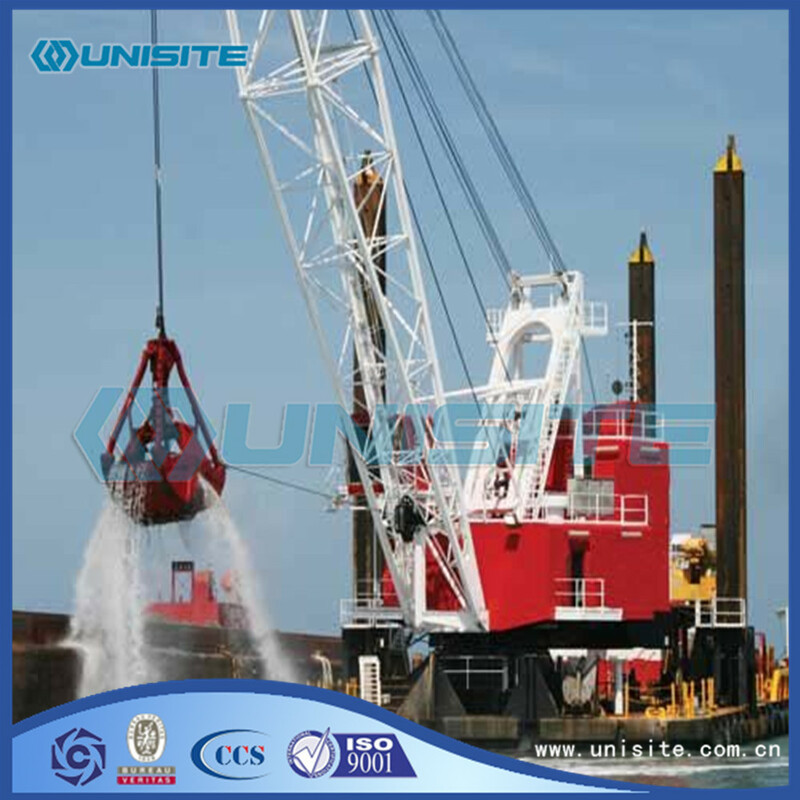 For example: the crane hoisting drum is a single, to match the mechanical grab, only with a single rope grab, if match four rope grab, grab the work is not up. Again, for example: the crane rated lifting weight of 25 t, to grapple with, only deserve to grab weight + catch weight = < 25 t, with big crane overload, unsafe. Secondly according to the loading and unloading of cargo to grab structure form. According to the definition of grab bucket: grab is used for loading and unloading of all kinds of goods. So what kind of cargo loading and unloading, it should match with the corresponding grab. Wrong not efficiency low, just can't use. For example: the need of loading and unloading cargo is coal, match the pairs of disc grab light, if heavy double disc ore grab, loading and unloading efficiency is low for at least 50%. Looking for ideal Grab Steel Bucket Manufacturer & supplier ? We have a wide selection at great prices to help you get creative. 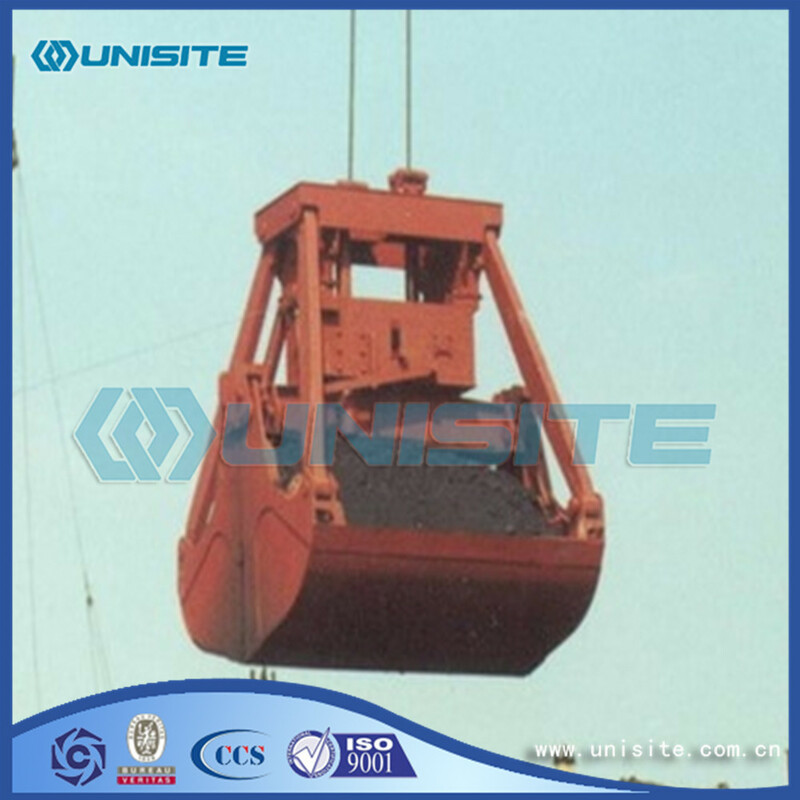 All the Marine Grab Steel Bucket are quality guaranteed. We are China Origin Factory of Custom Grab Steel Buckets. If you have any question, please feel free to contact us.